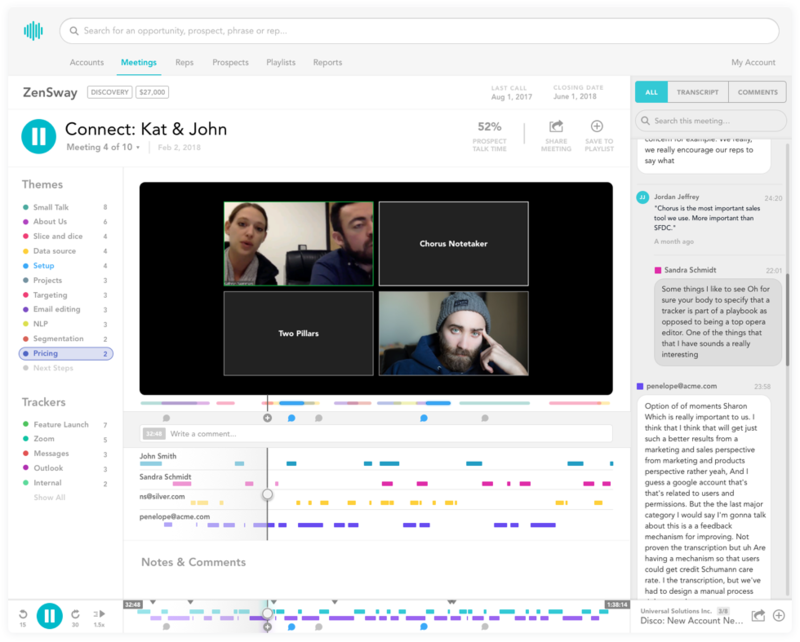 Chorus.ai is the market leading Conversation Cloud, built to securely capture, store and analyze your team's calls and meetings so your team can focus on what really matters: your customers and your business. Only 5% of information on customer facing calls ever make it into the CRM. Chorus.ai is the first platform built for you to capture all customer facing conversations to seamlessly search, share, and analyze these critical moments. 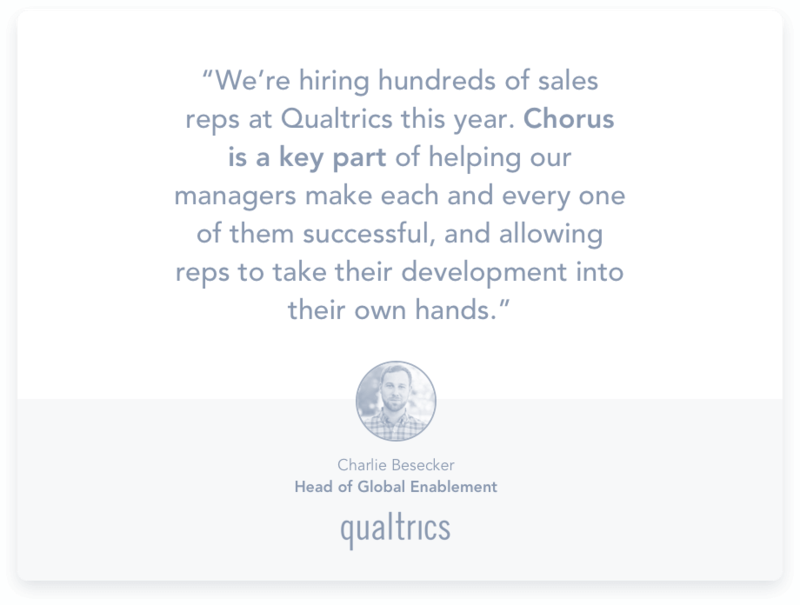 Chorus's proprietary algorithms are trained on the collective learnings of the top B2B revenue teams, as well as your team's own best practices to help shorten ramp times, increase close rates, and maintain performance at scale.